Brad Fiedel began his career in film in the late 1970s. 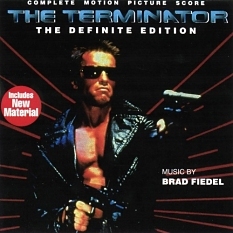 He composed extensively for television films and minor cinema releases, until director James Cameron hired him to score the science fiction film The Terminator in 1984, setting the wheels in motion for a successful career and gave Fiedel his entry in the annals of film music history. He became a popular and progressive composer and pioneered the use of electronic instruments and synthesizers in film music. Since then, Fiedel has scored many popular and successful movies, including Fright Night, The Accused, Blue Steel, Terminator 2: Judgment Day, Blink and True Lies. In recent years, Fiedel has moved on to other creative areas, writing musicals for live theaters and designing and building a surf resort in Saladita Mexico. I'm very pleased to invite you to read an exclusive interview with Brad Fiedel. Łukasz Waligórski: I always start with this question - why did you decide to be a composer? Did you want to score movies from the beginning? Brad Fiedel: I was a singer/songwriter who performed my songs around the northeast in clubs and schools. As I was trying to get a recording contract in NY, I stumbled on the opportunity to write score and songs for some educational films. I enjoyed this, but was still dedicated to becoming a recording artist. For a short time I toured as a keyboard player with Hall and Oates. This gave me a taste of what is was like to be on the road as an artist, and frankly the lifestyle didn't fit me very well. At the same time I got the opportunity to create the original score for a friend's feature film. Daryl Hall and John Oates graciously agreed to play on part of the score and it was a lot of fun. The film was called "Apple Pie" and was created by Howard Goldberg. I started at that point to think that having a career in film scoring would be a good thing. In 80' you were considered as a progressive composer and pioneer in using electronic instruments and synthesizers in film music. What attracted you to this kind of music? As a teenager I met a man named Herb Duestch who was working with Moog on the early synthesizers. I was fascinated by the possibilities of creating sounds that hadn't been heard before and the ability to play these in a musical keyboard. During my time as a singer/songwriter, I used an Arp 2600 on some of my early demos. One of the reasons I was hired to play with Hall and Oates was because I knew how to program that synth. Truthfully, the ability to create big sounds without depending on other musicians was very powerful and seductive. Also, it seemed that I was able to create something very unique, improvising a lot and not having to figure out how to write some of my more quirky ideas on paper. I think this is an opportunity to clarify something though. During my early film coring career, I was just as likely to use acoustic instruments as electronic ones. My third score, for a film called "Damien", was full orchestra. The film was a historical drama about Father Damien, the leper priest of Molokai. Also during the early 80's I did a number of special TV films including "Mayflower.Pilgrim's Adventure" (starring Anthony Hopkins) "Playing for Time" (starring Vanessa Redgrave) "Right of Way" (starring Bette Davis and Jimmy Stewart) that used orchestra. Some of the other projects during this period, I used a combination of electronic and acoustic instruments. Creating the electronic elements in my home studio and bringing them to a big studio and sweetening them with large string sections and acoustic soloists. Could you describe how the process of composing electronic music looked like in 80'? How did you create the sounds, what inspired you and who was your role model in that time? Late 70's, the synths were mostly mono. One note at a time. You had to overdub to create harmonies. There were some keyboards that were polyphonic, but they were more like organs or the string ensemble. All sounds were created with patch cords. The ability to store settings was just coming. It was a lot of work and took a lot of time to record something that had a lot of layers. I got one of the first prophet 10's and used it to create the score for "The Bunker" (starring Anthiny Hopkins portraying Hitler I his final days). It was amazing to be able to create complex sounds and store them to a memory bank and then call them up by number. I was able to improvise on the run changing sounds quickly as I watched the film. Playing motifs that sounded like the drone of bombers overhead, and bombs dropping that were tuned like tympanis. I was kind of isolated in what I was doing. Didn't really have a role model. I think Bernard Hermann's work on the "Twilight Zone" TV series had a big affect on me. Spare, and very quirky combinations of instruments used in very inventive ways. Varese and Stockhausen were in my subconscious somewhere. How would you assess the direction in which electronic music has evolved? Is it easier or harder to do something original now? Will synthesizers and samples eventually replace live musicians? I don't feel very in touch with the last few years. I think people are going back and doing more of their own programming. I think this is important as far as originality goes. After a while you recognize that certain library type sounds and samples get over used and are easily recognized. You are best know for your score to "Terminator" and I would like to talk about it more, if you don't mind. How did you get involved in this project? How would you recall your first meeting with James Cameron? James Cameron was one of the first directors I got to meet who really was able to get on film what was in his head. He told me some things about what he was trying to do, and then when I saw the film they were actually there on the screen. I showed him some of my personal work that I was doing on a very dark piano concerto and I think that was part of what convinced him to hire me. Could you describe your ideas for "Terminator" music? Was the main theme your first idea, burst of inspiration, or just cold calculation and outcome of many trials? The theme came to me while improvising the morning after seeing the film. 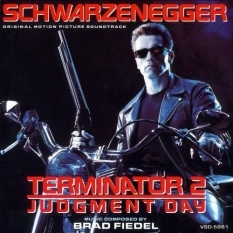 When did you realize that your theme for "Terminator" will give you your entry in the annals of film music history? Was it on stage of composing, recording or few years after the premiere? Could you describe the felling when you realized this? I don't think I really realized it until much later, and in the last years more when people tell me about their reaction to it. How different was scoring "Terminator 2" from the first movie? Did second movie require different approach? Different technology allowed a warmer richer sound that supported the fact that there was more heart and emotion in the 2nd film. The sounds came more from organic sources. How did your relationship with James Cameron look like? Did you have long conversations about music in both Terminator films? What kind of music he expected in each movie? Mostly I would absorb what he was doing and give him my musical reaction to it. This worked well most of the time and if I was not in synch with the direction he wanted for a specific scene we would talk. We did talk sometimes in general about the films and what he was trying to do so I could best support his vision, but there really wasn't a lot of time for theorizing with the tight schedules and the fact that he is so busy with all the other facets of the films. Did Marco Beltrami, Bear McCreary or Danny Elfman contact you when they were writing music for Terminator sequels? I am particularly curious about the latest. 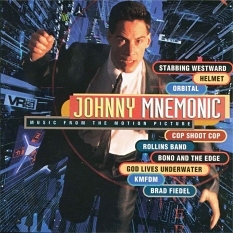 Elfman managed to combine musical world of Terminator with his own style. What do you feel when you see such composers as Danny Elfman working with your theme, trying to preserve its legendary spirit? I did not hear from them during the process. I did get some nice notes from Bear after the fact. Truthfully, I have only seen some random parts of the finished versions of these projects, so I'm not really aware enough of the scores to comment on this. I saw some of "Terminator Salvation" and could hear some connection with my work, but I think mostly Danny was doing his job as a composer and bringing his instincts to the film in front of him. How would you define how the film music and its understanding changed in last 20 years. I mean… what was appropriate 20 years ago is not really suitable to contemporary movies. Just look at the differences between "Terminator" and "Terminator Salvation". Do you think that approach to film scoring changed so much? This is a huge subject. Styles change, move forward, recycle. I think it's all over the map. You can hear such a wide variation of approach in the films that are released in any given year. I'm not so sure the there is such a thing as "appropriate". If something is done that is very different and surprising, it may seem off at first. But if it's done well and used in the film with confidence, it becomes appropriate and then people incorporate it in what they do. 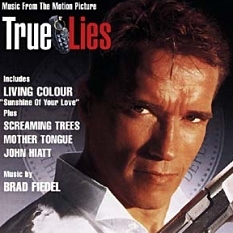 After both Terminator movies, you scored one more Cameron's film – "True Lies". Could you say something about your approach to this movie? It was important the let the audience know right from the first bars that even though this was Jim and Arnold and me again, this was totally different. A fun ride and not too dark. I treated a lot of the opening as if Arnold was dancing. Especially when he's running down the mountain in the snow. Of course, using live orchestra was a big difference. Finding ways to support the action and suspense while still keeping the comedic sparkle alive was the main challenge. I had a lot of fun doing it. Is that true that "The Accused" starring Jodie Foster from 1988 was your first orchestral score? What was your approach to this assignment? How did you manage to change your musical language from synthetic to organic? No. I'm not sure how that idea got started. I wrote about twelve purely acoustic scores prior to "The Accused". Many were for special TV projects (or smaller films). They ranged from string quartet and brass quintet to full orchestra. Some were period pieces like "Damien's Island", "Mayflower" and "Playing for Time". I think it was pretty much 50/50 as far as acoustic and electronics elements go for much of my career, and many of the electronic scores had acoustic soloists. Though "Terminator" got such attention that I did become known more for my work developing unique electronic scores. As far as musical language goes, I feel that I just looked at films and used whatever I heard in my head that would support them the best. Often this would end up being a combination of acoustic and electronic elements. You have scored dozens of TV movies. Which one of your scores are you extremely proud of and which one (if any) do you recall as a failure? Is there any score, you would like to release on CD after all these years? I am proud of elements of most of them, and not quite satisfied with certain parts of most of them. I am someone that worked so closely to support the film, that I don't really feel that comfortable listening to the scores away from the images for which they were created. Over the years you have scored many different kinds of movies. Which genre was your favorite, which was most demanding, and which you have never scored? I believe I‘ve had the privilege of scoring all genres and have enjoyed all of them in some way. What I enjoy the most is working with a filmmaker who understands the potential of music in film and gives it room to contribute while also giving the composer the creative space to be inventive. For me, one of the most important things was to get to see and experience the film without music already in it (temp score). 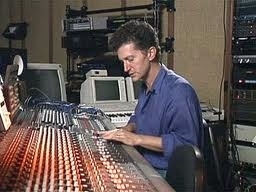 It looks like few years ago, you finished you career as film composer. Why was that? I was very lucky for many years to get to create the way that I did. Most people came to me pretty open to what I could offer. I found the creative freedom that I had enjoyed was decreasing. I think this had a lot to do with directors and producers who got very wrapped up in their temp tracks and wanted them to be imitated. I realized that I was not creating from my heart as much and the joy was going out of it. I decided to stop before I got bitter. Are you still interested in what is happening in contemporary film music? I do notice things, but I enjoy mostly just being an audience member now. What are you doing right now? How do you spend your time, any hobbies? I have recently designed and built a small surf resort on the Pacific coast of Mexico. After all those years in the studio, I really enjoy being out in the ocean. I am also developing original musical projects. Right now I'm working on a musical for live theater. And here comes the question I always ask… Are you familiar with polish film music composers? I am embarrassed to say I don't really differentiate by country, so I'm not that aware. Would you like to come back and score one more movie? If yes, what movie would that be? I could imagine scoring a movie if the story and the filmmakers were inspiring.